Customer returns the defective product to Kingston before the replacement part is shipped. Subject to availability, the replacement part will be shipped to the customer on the following business day of the product being received. 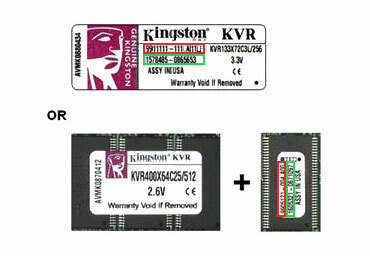 Products that are no longer manufactured by Kingston, but are still under warranty will need to be returned first. Based on availability, Kingston will ship either a new or recertified part as replacement. If replacement is not available, Kingston reserves the right to offer a different part of equal or lesser value as replacement.